The weeks between Thanksgiving and the New Year are perhaps the best time to visit New York City. It is certainly the most magical time in this incredible city, as it is transformed into a Christmas wonderland. Department store windows are decorated with marvelous holiday scenes and the sound of Christmas carols and jingling bells spill out into the streets. Christmas trees and wreaths are sold on street corners, filling the city with the smell of Christmas. There are many holiday related activities to do as well. Whether its going to see the famous Rockettes at the Radio City Music Hall’s Christmas Spectacular or to any one of the many productions of “The Nutcracker” ballet with music by Tchaikovsky, you are sure to get into the holiday spirit. Other possibilities include the lighting of the Rockefeller Center Christmas tree, ice skating in Central park, visiting the holiday lights display at the Bronx Zoo or the annual holiday train show at the New York Botanical Gardens. With so many things to do, there is sure to be something for everyone in the family to enjoy. 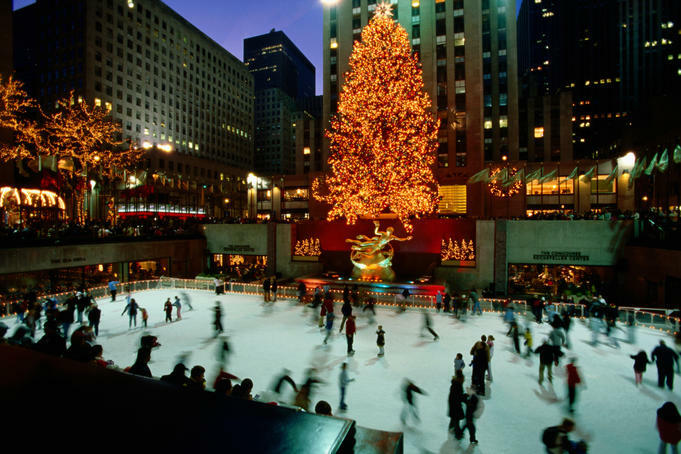 A visit to New York City at Christmas could possibly be the best present ever. And if you are lucky, it might even snow! ¡Por favor tráigalo aquí mismo!